Asha Bhosle has reportedly been honored with the title of ‘greatest Bollywood playback singer’ by Eastern Eye Newspaper, United Kingdom. The Indian singer started her career in 1943, beating off her elder sister Lata Mangeshkar to grab the top position. 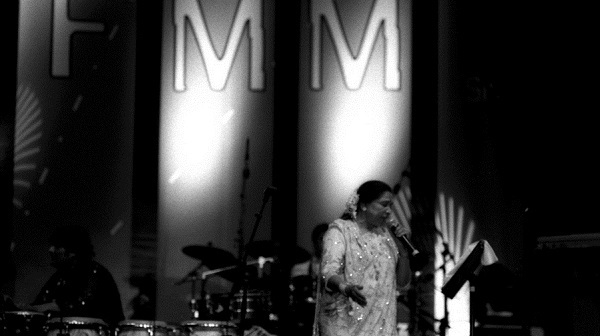 Commonly referred to as Ashaji, the sweet-voice has spent over six decades of a successful music career in India. Despite being a wider range of voice quality, she is most popular as a playback singer in Indian film industry. The newspaper also listed late Indian singer Mohammad Rafi and Kishore Kumar who appeared standing on the third and fourth position respectively while the beautiful singer Shreya Ghoshal sees herself on 7th spot and Sonu Nigam secured 14th ranking in the listing.